A most charming 6.68 acre residential smallholding close to Llanllwni Mountain and Brechfa Forest, West Wales. (£80,000 each or £150,000 for both) 2 FREEHOLD BUILDING PLOTS WITH CONSENT FOR 3 BEDROOM DORMER BUNGALOWS (SEE PLAN). MAINS ELECTRICITY, WATER AND DRAINAGE AT HAND AND OFF ROAD PARKING. COPY OF FULL PLANNING AT AGENT'S LLANYBYDDER OFFICE. A rapidly establishing young mixed broadleaf wood with conifer elements close to the town of Llanybydder. 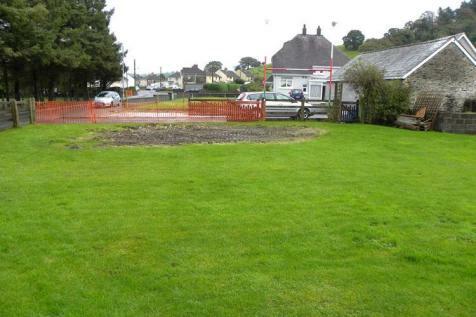 CONVENIENTLY LOCATED FREEHOLD, LEVEL BUILDING PLOT, APPROXIMATELY 31M DEPTH x 20M WIDE MAX WITH OUTLINE CONSENT FOR A DWELLING AND DOUBLE GARAGE. EDGE OF VILLAGE LOCATION WITH MAINS SERVICES AT HAND (COPY OF CONSENT AT LLANYBYDDER OFFICE).